A few of Game Of Thrones’ biggest stars will come together to produce a new TV series, as Charles Dance and Peter Dinklage will serve as Executive Producers for Quasimodo. 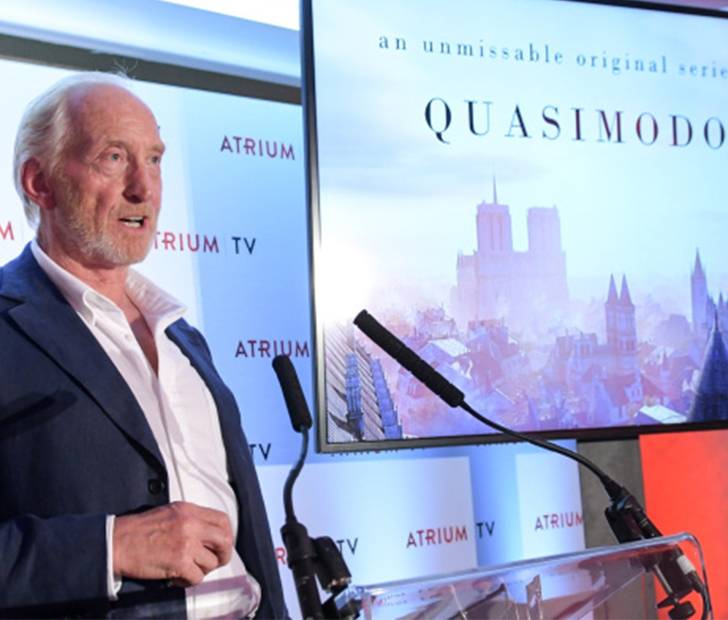 The new series will be for Atrium TV, which is a drama commissioning group headed by Howard Stringer, formerly of Sony. Another GoT member, producer Frank Doelger, will be a part of the crew as well, as Rainmark Films will take over production duties. Tracey Scoffield and David Tanner will also produce, while Ashley Pharoah will serve as the show’s writer. Quasimodo is based on the classic novel “The Hunchback of Notre Dame” by Victor Hugo, and is set in 15th century Paris. It’s one of four new series being put into development by Atrium TV. Distributor DRG, who is owned by the Modern Times Group, will be teaming up with Atrium to launch Quasimodo and the other series on over-the-top services in every region of the world. The other series on tap for Atrium include Jerusalem, a historical drama that takes place in the holy city, State of Decay, a zombie-themed thriller based on an Xbox video game, and Perfect People, which follows genetically modified twins that begin to wreak havoc on society. These four new shows join One Giant Leap, a moon landing series, and Fandorin, which follows a 19th century Russian detective, as the original six programs to be written for Atrium TV and its partners. Germany’s Deutsche Telekom, France’s Orange, Israel’s Yes, and Russia’s NewFilm are just some of the international partners who are affiliated with Atrium TV and DRG. How excited are you for Quasimodo and Atrium’s other series? COMMENT below with your reaction, and SHARE this post on FACEBOOK to spread the word about these upcoming shows!